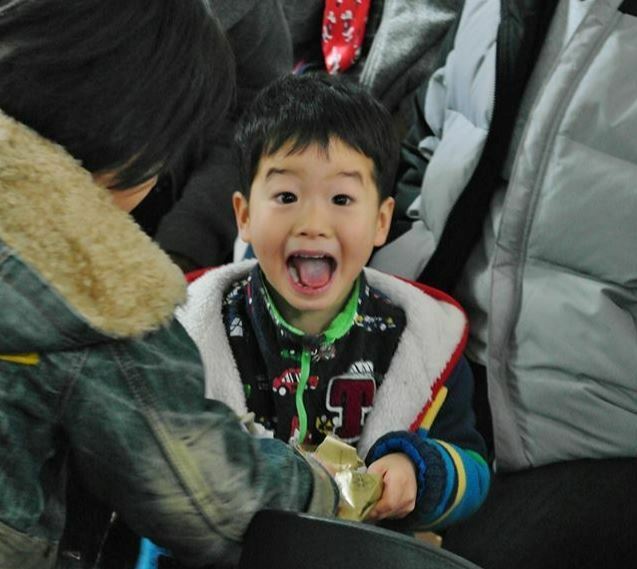 Jeju Island expats are collaborating to ensure that Santa pays a midnight visit to disadvantaged children this Christmas, in a gift drive covering all of the island’s orphanages. Jeju Furey will be wrapping presents and making midnight trips to leave them under the tree or in the play room at the orphanages, before returning to run fun activities for them on Christmas Day. Now they are looking for a last-minute fund-raising push to make sure they can give to as many children as possible. Jeju Furey is a volunteer and fundraising group on the island that helps underprivileged families. It started in 2009 to raise money for the post-secondary education of two children whose father, Nathan Furey, died to a sudden illness. Jeju Furey has helped eight families, who are connected with the group through local social welfare organizations and churches, and has raised 130 million won to date, Nabben said. The group currently helps six families. Nabben said the Christmas drive was started separately from Furey, by Jeju expat Gidget Alaman, who gathered volunteers for a Christmas party at an orphanage. When Nabben heard about it, he arranged to provide gifts for the party. In the end, they had gathered so many volunteers and gifts that two more expats, Julie Kertesz and Susan Shain arranged a party at another orphanage. Furey also gave gifts to the two families it was helping at the time. The next year, Nabben organized a repeat, arranging for the children to write a wish list to help choose the gifts. “The vice-president of Jeju Furey, Troy MacLellan (a canadian), took it even further and said we should do that for all four orphanages and all 300 kids,” said Nabben. In fact, they managed to go beyond that. “In three of the (last four) years, we raised enough money to also get Christmas gifts for all the sick kids in the seven Jeju hospitals on Christmas Eve, as well as a couple dozen under-privileged families around the island,” Nabben said, though he doesn’t expect to be able to do so this year. Based on the children’s requests -- such as earphones, hoodies and stationery bearing their favorite characters -- Furey buys presents worth about 20,000 won for each child. Then it visits the orphanages in Oedo, Samyang, Seogwipo, and Moseulpo to deliver them. On Christmas Day itself the Furey volunteers split into groups and visit the orphanages to have fun with the kids, teaching them how to make gingerbread houses, musical activities and playing games. “It’s a nice fit because many ESL teachers have a handful of these games in their back-pocket by nature of their job and are used to teaching and playing them with kids in the age group we find at the orphanages. So the volunteers are well within their comfort zone,” said Nabben. The group has a funding page with details of how to donate from within Korea and abroad at jejufurey.weebly.com/ . More details about Furey events and activities are available at the same address in Korean and English.